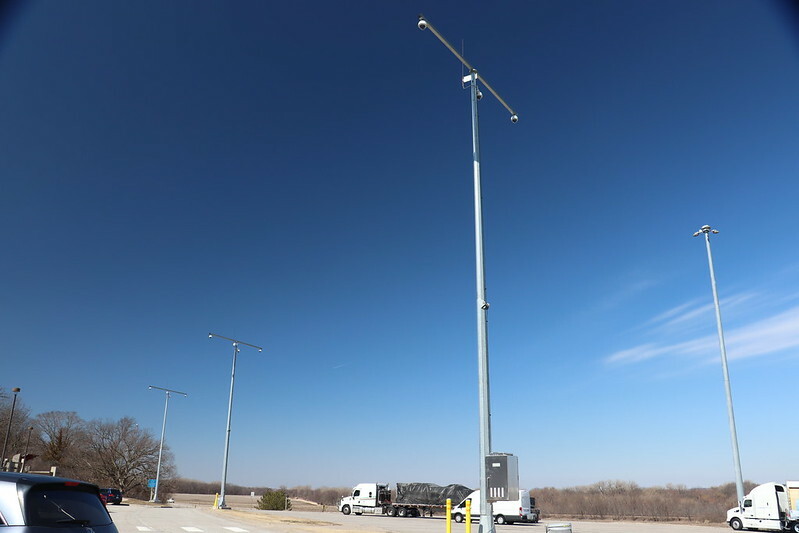 Back in January, KDOT introduced a new system to inform drivers of the availability of Truck Parking at the Rest Areas along I-70. Yesterday, I finally got around to checking the new feature out. 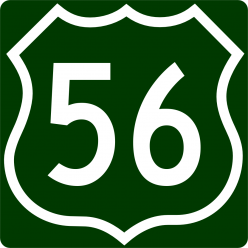 Going west from Topeka, the first rest area is located in Wabaunsee County between Maple Hill and Paxico. 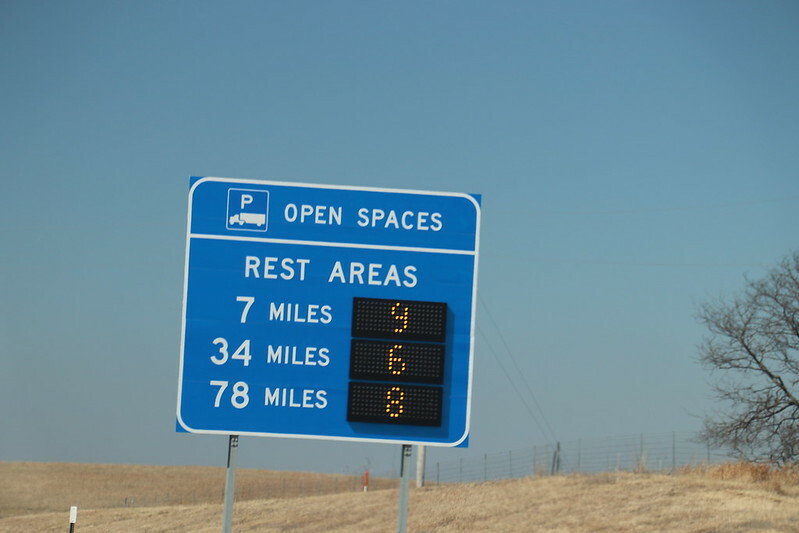 Approaching the Rest Area is a variable-message sign indicating the number of Parking spaces available for trucks at the next three rest areas. The next two rest areas are near Junction City in Geary County, and near Solomon in northeast Saline County. 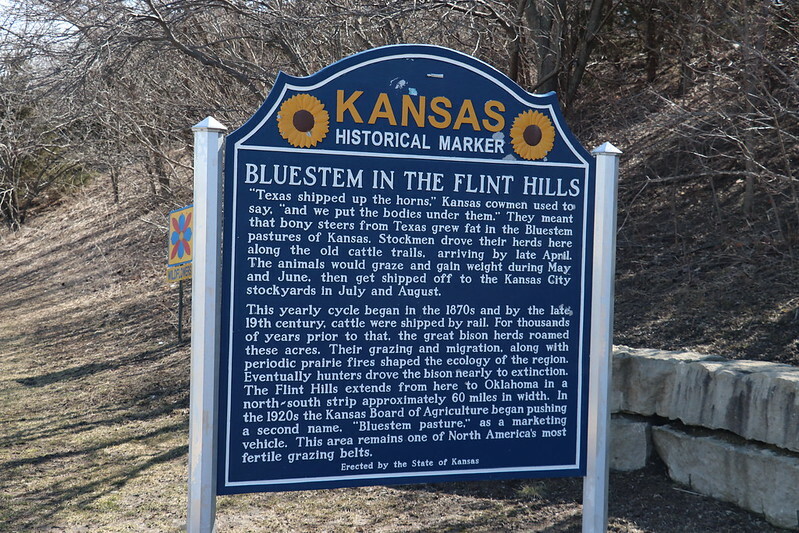 At the Maple Hill rest area is a historical marker erected by the Kansas State Historical Society. 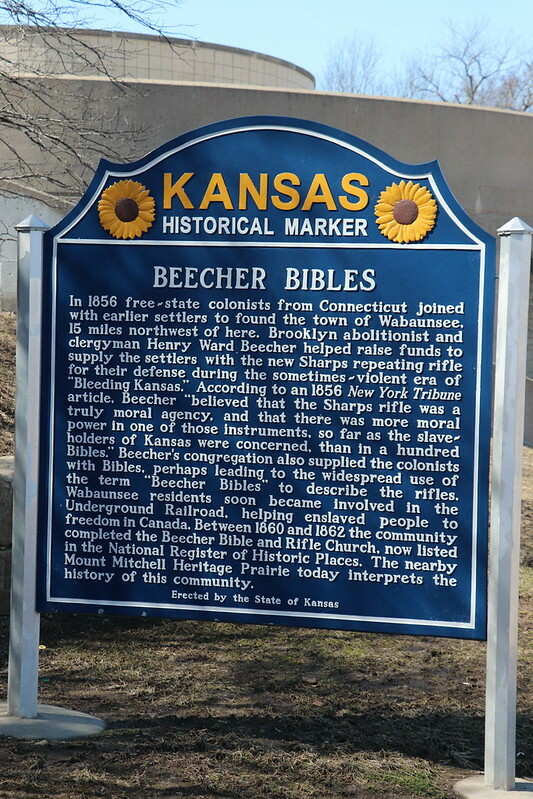 In this case, each side of the marker tells a different story related to the area around the rest area. In order to determine whether there are open spaces, there’s got to be a way to look in to the Parking lot, right? Here’s the video monitoring system. I would presume that the system is automated – it would get kinda boring for someone to stare at video of a parking lot all day.